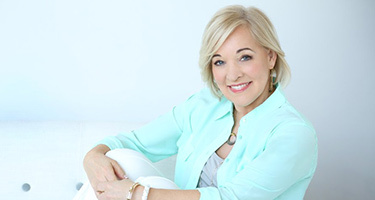 ﻿ Be Born Again - Literally | Christiane Northrup, M.D. Let me explain. If you take a bunch of flies and put them into a jar, and then put a lid on the jar, only a couple “pioneer” flies will leave the jar once you take off the lid. The rest have made a “premature cognitive commitment” that they are trapped. Likewise, if you put two schools of fish in a tank and place a glass wall between the schools, leave it for a while and then later remove it, only a few fish will ever venture into the territory beyond that wall. The rest believe that they must stay in their own space. Then there’s the famous Nobel Prize winning experiment of Hubel and Weisel who found that if you raise kittens in an environment where there are only vertical stripes on the walls, they will run into everything horizontal, because they literally can’t “see” anything horizontal. They’ve been trained to see only a vertical world. Here’s how that plays out: If you believe that it’s normal to develop chronic degenerative disease as you get older, then that is likely to be your experience. If you believe that middle age begins at about 80, then your experience will be entirely different. As it turns out, our cultural beliefs about what’s possible hold far more weight than our genes. And these beliefs translate into biological realities in our bodies. The exciting part about all this is that when you change your beliefs and expectations, not only do you attract different circumstances in your life, your biology also changes. Hormones become balanced. Stress hormone levels plummet. And neurotransmitters boost your mood. It all starts with your habitual thoughts. Thoughts and beliefs with a high, ecstatic vibration create a flourishing life and flourishing biology. Thoughts of negativity, fear, anger, and dread create exactly the opposite. And over time, these kinds of thoughts manifest as your reality—in your body. And though it’s not possible to access and change all of our adverse beliefs in a day, it is possible, right this very moment, to use your own power to change your point of focus. Start right now. What is working well in your life? What parts of your body do you love? What feels really good? I know that we humans love drama. You know the old phrase about television news, “If it bleeds, it leads.” Well it’s true. But it’s also possible to enjoy lots of interesting drama in your life and still have a body that gets reborn regularly. It all depends on what you focus on. Focus on what is good and uplifting and your cells will respond. The better it gets, the better it gets. As I write this I am taller, happier, and less stressed than I was 20 years ago. And the future looks brighter than ever. I want the same for you. And I know that it’s possible. No matter what. After all, there are documented cases of spontaneous remission from every known disease. So imagine what’s possible if you’re already feeling pretty good! In what ways have you changed your life by changing your beliefs or perceptions? Please leave a comment and share your thoughts and ideas about this blog. I love this way of thinking- Changing your beliefs in order to change your future… my question is, I am 38 years old, and have already had 2 spinal surgeries- the 1st failed, and 6 mos ago, I underwent a 7 level posterior spinal surgery. I am in pain daily.. how can I re-train my beliefs when I have already had surgeries and my spine is filled with metal brackets, and metal devices? I feel as though my “reality” can’t be changed at this point, as my body has been altered. Thank you very much for this wonderful book “Goddesses Never Age”. As we say in Germany: It speaks right out of my soul ! I thank you for these reminders, deep inside we know what to do intuitively but we are creatures of habit and habits are hard to change. One thing that helps me a lot is writing everything down, (I see it and I touch it), reading it out loud, (I hear it), in other words when I use my senses it clicks! It starts to sink in and changes begin to happen! Make sure you include all the many blessings you are grateful for. I have followed your teaching for appx 20+ years and I love your new focus on wellness and feeling good. Feeling good all the time is the purpose of Law of Attraction. About 15 years ago my thoughts about women totally changed after studying your books and listening your audio cassets. Since that period I am spreading these concepts to other women. I am very satisfied. Every day I start with new energy. Your books are my companions. Dearest Christiane, You have been by my side for more than 30 years and I wanted to thank you for reconfirming that a positive attitude is the key to a life of wellness. I firmly believe our thoughts draw our reality. Thank you! I find your thoughts to be quite inspirational. Perhaps you can tell me where I went wrong in the following scenario. I am an 82 year old ballet dancer who still takes classes and danced on pointe until 2 years ago when my lateral meniscus totally failed and disfigured my leg. This came as a great shock to me, as I planned to continue to dance for many more years and am in great shape. The medical industry considers me too old to even consider anything except knee replacement, least of all knee regeneration. What can I do? Where did I go wrong? I have always been a positive, spiritual person but know that something was missing to cause this. I don’t know much about ballet, but I have read that it is very hard on the joints ( at any age ) however wonderful it looks. Just as those “extreme” exercisers are being very hard on their bodies and could damage them if they keep up the extreme activity for too long. The human body isn’t designed to keep up extreme activity indefinitely. If a marathon runner of age 20 were to run marathons several times a week continuously, they would soon do some damage. It would be the body’s way of slowing you down in order to heal itself. 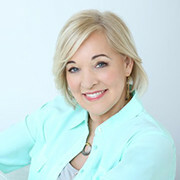 i am just getting ready to buy your book (Goddesses…) I was listening to Oprah show last Sunday about aging. You said that you don,t celebrate birthdays and you don,t tell your age. I am 75 years old but when I feel good, I feel may be 50. I am so lonely and bored with my life. My fiance became very ill, I became his nurse. I always believed that he will get better. He died one month before our wedding. I moved to another part of the city, had bad experience in the place I rented. Then I was hit by a truck on the side walk. It has taken over 4 years to heal from the accident. I also have problems with 3 of my children. I am really down and started to drink wine and smoke cigarettes.That has to stop now. I have to get a part-time job. I am an interior designer but I have lost over 8 years of working because of the above mentioned problems. I am scared about applying for a job because of my age. I am attractive, I dress very well, I know I have great talents but I fear that nobody wants me any more. And I need more income to survive. Do you believe that I can become happy again? I admire you so much. I have read so many books but your advice seems to be the best. Yes you can absolutely be happy! You can do this! Every night before you go to bed ask yourself what three things am I grateful for right now? Do this every night for the next week. It will help! Your brand new life starts right now! 8 months ago I walked out of my job of 18 years as a dental assistant. There was mold that was making me very sick at least 5 times a year. I was the only full time employee and the only one affected by this. I had prayed and pleaded with the Lord to give me a gift. Low and behold I realized I always have been blest with the gift of caregiver. I walked out last June without enough clients and before the week was out my schedule was full. My life is blest with the best people I feel better than ever and I feel God in my life everyday. The old job was making me an ugly person. I am now the person I was meant to be. This was a great article b/c I, too—have discovered that stepping back, refocusing & changing your perspective on negative things in life, definitely help you lower stress, be happier with yourself, etc. It happens when you realize that when you take the negative self-talk & that of what others think about you, only makes you their “prisoner.” You are in charge of your life whether you realize it or not. Positive self-talk, self-affirmations can truly give you your life back, lower your stress & be happy about WHO YOU ARE! Sounds good to me considering my age at this point. I’m ready to live as long as possible. As a Midwife attending births in an out of hospital setting (for low risk pregnancies), using no pain meds, i can attest to the power of our thoughts to create abundant health, reduce anxiety & fear for both mom,her yet born, & family(& oh yeah, their midwives too)! Found you through your writing about E2. Am really excited about the power of changing my thoughts. After reading your article I believe I am the healthiest I have ever been. Thank you! I am a bad place in my life. I must now choose to take the path to health or the path to indifference. It is the toughest choice I will ever make. I have been reading many messages like this and the voice of my own truth tells me what is being said is THE TRUTH. Receiving many messages from different sources saying the same thing it’s time to perk up and LISTEN. I am under a rock right now. I cannot see the light but I still can see the shadow of what my real self could be if I work at it. I start by being proud of my age. 61 and feeling great! Shout it to the moon! I used to be a singer/dancer/actress and still take dance and voice classes because they give me great joy. Several years ago my pancreas swelled to the point I could feel it bouncing as I walked, but was not giving me pain. This was a Friday night. At 11 on Sunday I had my voice lesson, by 11 pm my pancreas was back to normal. The gastroentologist that my doc sent me to did an MRI to be sure all was OK-all pink and healthy. I believe that singing healed whatever was wrong. Thank you for being who you are – a true inspiration! I am struggling with bulimia (for 12 years) and I would love to know your thoughts on this matter. Just want you to know that since hearing your interview with Dr. Perlmutter on “Flouish” I purchased his book and have for the past two weeks or more, followed his dietary instructions and have been committing to 20 mins of aerobic exercise daily. My sleep is better, my digestion is better, no more redness under my eyes, hardly any cravings – so many good things. Many thanks to you – I appreciate you so very much. Loved the article above. the Dr. Perlmutter book has been life saving to me. my second year Gluten Free I feel better now than when younger. also the recipes in his medical text (available at Target) also has some nice recipes! It’s possible to begin your new seven year cycle today! Remember your thoughts + beliefs + feelings + inspired actions = your desired result. You can do it! It’s possible! BELIEVE! Thoughts = Energy. Energy Manifested = Reality. Thanks for this wonderful article. Thank you for this knowledge 🙂 I love that our bodies only get to 7 years of age, and I love how that sets me free, probably mentally and culturally. I also enjoy Edgar Cayce’s sentiment as it makes brilliant sense – it certainly makes me want to replace what does not work, instead of just removing. My chronological age has not had much meaning to me, but I have subconsciously bought into how I am to act and feel, which has been unnatural to me – with appreciation. Thanks for the reminder! I also first heard Deepak talking about that phenomenon. And now am an avid follower of Abraham_Hicks! Fascinating to really grasp the concept. Thank you for your awesome work! You inspire so many of us! Thank you so much for this insightful information. Thoughts create I keep hearing this I must THINK….what do I want to create in my life and go for it…You are beautiful example of this I sincerely am grateful for your wisdom…. This is so powerful! I believe it to be absolutely true and it was just what I needed today! I’ve quit watching the news (except for maybe a few minutes at the end when they often show positive stories) and I tell myself that life begins at 60 (I’m 51!). I’ve also incorporated meditation into my life and while I’m still “a work in progress” in that regard, I do find when I am able to quiet my mind, it helps! This is so true and so inspiring. As a nurse I have made it my mission to teach patients self love, meditation and the power of affirmations and believing that they can heal themselves. I have found that what I teach is something they have never even heard or thought of. I think more of the world needs to know about how powerful our minds really are. Thank you Christiane for all that you do!!! thank you, thank you, thank you for being the messenger… perfect timing… I am ready to listen and make welcoming changes in my Life! Fan-girl squee! I love you Dr. Northrup! Everything you put out in to the world is genuine and truly healing so many beautiful souls! Thank you! Thank you! Thank you Dr. Northrop for your very inspiring articles and advice. I am almost 67, had to retire from my 46 years of nursing after a car accident and surgery 5 years ago. I was diagnosed with fibromyalgia 10 years ago. After changing my lifestyle, eating healthier, taking the best nutritional supplements, I got my life back. 2013 was a disastrous year for me, with my partner of 20 years + walking out. I don’t consider myself old, I am a great grand mother. I love life. Positive mindset. I am so grateful that the Divine used you to write such powerful words to uplift many spiritual beings. I needed these words, it came just in time to shift the focus for 2014! Thank you for all you do.. Peace and Love.. 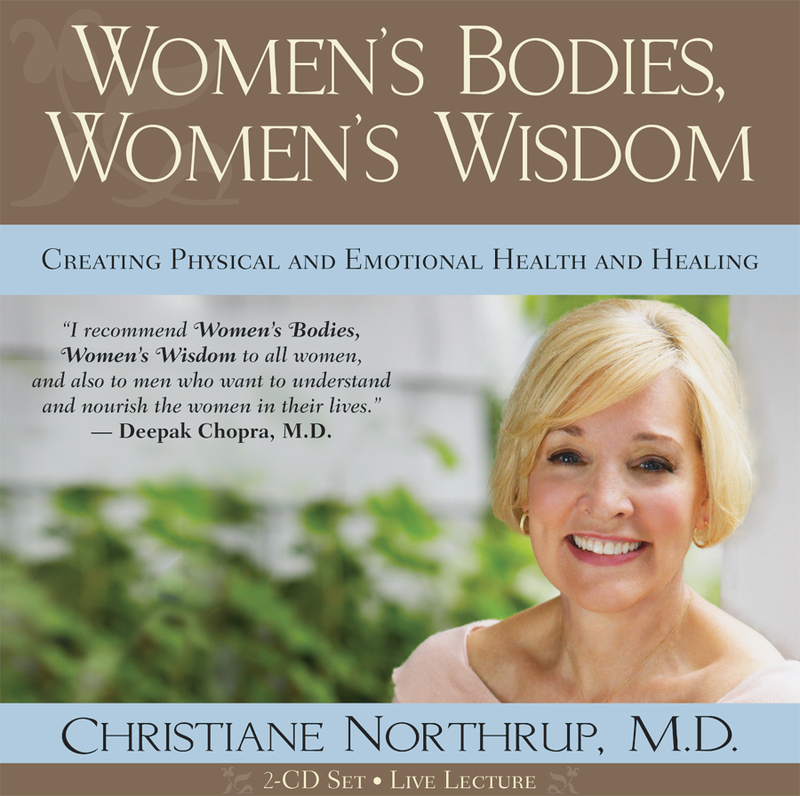 I read your book, Women’s Bodies, Women’s Wisdom Dr. Northrup in 1997… It was a turning point in my life. I love your wisdom and your values and opinions and I look to your words for guidance as I now enter into another very challenging time in my life. At 61 though…the word “old” does not exist in my vocabulary… I feel empowered and at peace within…despite the seeming chaos all around me! Thank you for all you do!! THANK YOU THANK YOU THANK YOU! I needed this so badly today and I know the Universe sends me this message through you…again…..bless you! And for ALL you do! This is really good news as I approach a milestone birthday this year!! 100% Agree. My mother managed to raised her blood numbers in five days after chemotherapy #16. How? Focusing on good health!!!! Doctors went shocked with the results. So Happy and inspiring !!!!!!!!!!!! I completely agree with that. I’ m changing my beliefs and my body really appreciates it. I choose affirmations that make my body feels better and vibrates, it depends…and I try to flow.Thank you so much, you are so inspiring!!! 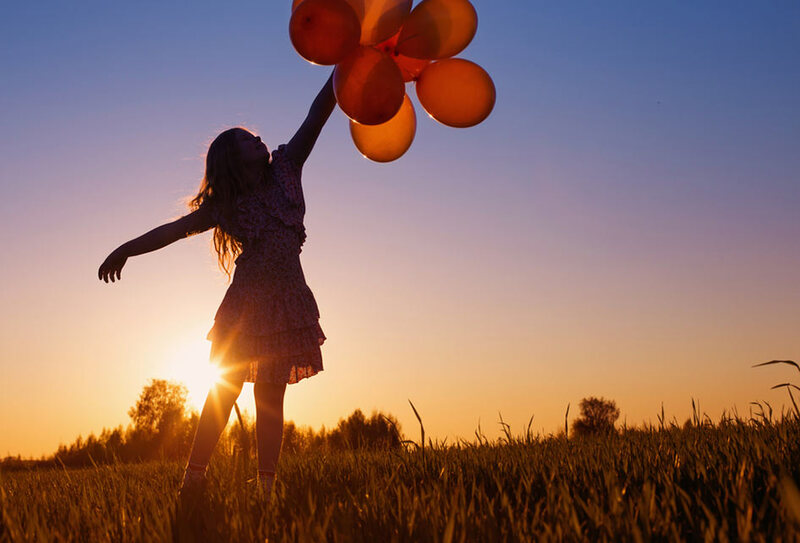 I just received The Wisdom of Menopause and am delighted as it came at the perfect time in my life to help me see the change for what it truly is; a rebirth of me! The realization of the fact that thoughts become things got to me in 2012 when I was ill and off work with Vestibular Migraine. It is truly wise, and quite possibly the only reason I have been back to work for over a year now. Been a fan since Women’s Bodies, Women’s Wisdom. Thank you for contributing so much to my health. What an awesome read for the beginning of a new year. I believe that our thoughts are more powerful than we have any idea and that indeed monumental positve changes can be achieved if we only stopped with the stinkin thinkin. Thank you for this reminder, I will share it with many! About 5 years ago I changed my pattern of thought from “I’m getting older” to “I’m getting newer!”. If you want to see the “old me” look at me as I was 25 years ago. Since then I have lost 25 pounds, am more active and energetic and feel better than ever! I love running all over the house and playing with my 4 year old granddaughter. People say I don’t look like a grandmother and are very surprised to find out that I am one. This is a great article. As I enter my 60’s I feel more in control of my body than ever. For twenty years I dealt with back problems from scoliosis, but I now finally understand that the scoliosis wasn’t the problem, it was my thoughts about scoliosis. I have a way to go, but I know I can continue to improve my health and well being. You are an inspiring woman Dr Nothrup! I have always admired you and your work. I am currently on days 7-14 of the FHP from Robert Fritchie for low grade depression. I am looking forward to your interview with him in Feb. You are an amazing woman! “Your future is just how you imagined it would be”….Your work has been a constant inspiration for me! What timely advice. This hits home on so many levels. Thank you so much Dr. Northrup. Fantastic thought process Dr Northrup and is one that I practise myself, having made small steps. I am 51 and was told that weight gain and unwell feelings was what happened at my age. I eventually told myself that does not fit right with me and when I saw photos of myself I realised how bad I was looking. With positive thoughts & the help of a fantastic naturopath I am now on the road to recovery. This year I also am going to be better than I ever have been!!! I’m amazed at how the Divine loves me and needs to show itself to me all the time. Like this blog, it came just in time. Thank you, Dr. Northrup, for being the instrument to remind me that I am powerful enough to change whatever circumstance I’m in right at this very moment. Namaste! Thank you Dr. Northrup. I believe in the one day at a time philosophy, as all we have is now. In committing to truly changing the way I think, mentally this psyches me up into “I can do” mode and denies the negative into sneaking in. It’s powerful what our minds can do, and I feel better each day, noticing the difference. This works! Thank you. I will pass this on. I love your show. I love your approach, Dr. Northrup. Your words are always so positive and encouraging, rather than fear based. Every part of me believes we can successfully manage our own health with the right attitude and lifestyle habits. Having lost my job, survived a serious bike accident and subsequent surgery (with no insurance) and been left by someone I deeply loved…all within the last year….I have had to dig deeper. Focusing on the positive and expressing gratitude has been the only way to go. Thank you so much Dr. Northrup for all of your work! I have been following you from the first publishing of Women’s Bodies, Women’s Wisdom. Thank you so much, dear Dr Northrup, every time I read some of your letters, I feel better! I truly believe what you have written. If we live our lives with fear and dread that is what will happen. Although we all face challenges, be it physical or mental, we must rely on our faith and trust that each obstacle we are faced with will become a challenge we have overcome! Thank you Dr. Northrup! It is a good concept but sometimes you are held down by circumstances beyond your control. At 56, I refuse to use the term ‘old’ or ‘older’ when referring to myself or to friends who are my age. What we think defines the way we act. I choose to think and subsequently live ‘young.’ And I plan to live a long and healthy life. 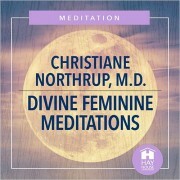 I just LOVE you Dr. Christiane Northrup! I have been reading your books since I was 16 and now I am 36! I am younger, more free and less stressed as I get older for sure! I recommend you to everyone who seek health consultations from me! I am a huge fan and so grateful for who you are and who you are becoming!!!! I agree with your blog so much and I live these principals and teach them regularly in my classes and coaching. Thank you for being you! Smiling….! This concept can change the world. Your article arrived to me at just the right time – no surprise though, it’s the universe providing exactly what I need at exactly the time I need it. Thank you so much. Wow! What an uplifting article to read. Love it! Big Thanks for reminding us of our remarkable regenerative powers. I know first hand how powerful we are for my body has overcome cancer (you helped with that!) ulcerated colitis, thyroid issues and walking 2 years with a cane to now dance, perform on stage, birth a new business and still have energy to spare…turning 65 this year and I agree…the best is yet to come! Sending your article out to all my friends. I am 39 for the 18th year! I have always had the idea that I would never be old mentally, but the good news is that my body followed my thoughts! I know that I look healthy and happy, but the really good news is that I am also wiser. I have blessings that follow me daily and I am truly grateful for my wonderful life! And…I am grateful for the mentors from Hay House, what inspiring examples of how to love life! Thank you Dr. Northrop, you have inspired me for many years! What a wonderful post! We truly are what we believe ourselves to be. Having survived Stage IV cancer and the death of my child, I look forward with hope and enthusiasm, absolute faith, and a firm commitment to enjoy each moment and to be a blessing to this world. I live in gratitude. Your thoughts have power beyond measure. Believe – in your God, in yourself and in your ability to have peace and incredible joy at any age. I had never heard the Cayce quote….planning to tape it to my forehead 🙂 Oh and thank you for these email newsletters. I have left Facebook and missed seeing you there!!! I love the shape of my body. I am continuing to make miraculous changes using The Gabriel Code Body Transformation. I’m loving my body as-is, and as what I know it is transforming into. I do know that what we believe is what we see in our lives. It is liberating to think deliberately, with intent, and to not give any energy, time, or power to thoughts that will not produce what I want. Wonderful posting Dr. Northrup. Thank you! This is so powerful. Thank you for writing this! Thank you for everything! You are my role model! 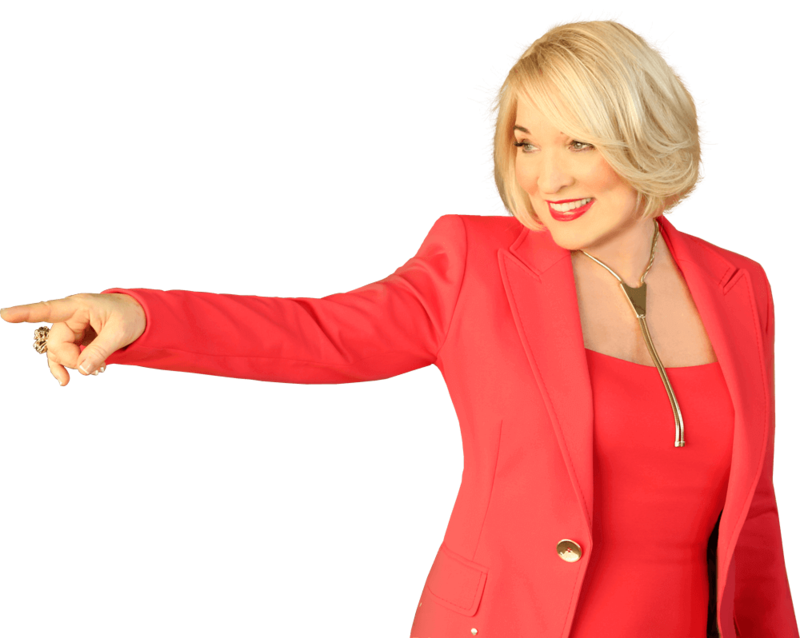 Hi Dr. Northrup – I tuned in late to your show today and heard you talking about shame, betrayal and one more thing – and the way to counteract each one of them (commitment for betrayal) – could you jot them down so that I can commit to memory? Thanks so much! I am a yoga teacher and an astrologer and use your insights in my classes and with my clients all the time!!! Thank you Dr. Northrop Your message came at just the right time. I know what I must do and believe. Happy 2014. I’ve studied this idea before and know it to be true but in the day to day of living my life I’ve forgotten to live by this motto. It’s so easy to fall into complaining and thinking negative thoughts. Thank you for reminding me how much my mind affects my body. Starting today I’m getting back on the high road! As Danielle stated above you are my hero, too! I love how you put yourself out there. Thanks for sharing your trials and tribulations to help the rest of us. I truly DO Believe this. Thank-you for validating my thoughts. This is definitely worth sharing! This reminds me of III John 2, one of my favorite verses in the bible: Beloved, I wish above all things that thou mayest prosper and be in health, even as thy soul prospereth. Thank you for continually inspiring us! Thank You so much! I will hold that thought. What a magical world. Thank You again. Blessings back to you! I love this thought process. I work in the health field and have been challenging health care workers to change the wording they use so people can change their diagnosis by changing their beliefs. There is far too much negative drama and we have to bring in the positive. I have seen it in my life how positive thinking changes pain, mood or different illnesses. Thank you.